Two linked sections : to the left – main part, two stories, three windows, upper glazing bars intact. To the right -three stories in height but ground floor is blank except for carriage door on the right. Stone fireplace (dated 1680 and 1780) at present in the bar, said to be taken from 65 Castle Street during slum clearance in early 1960s. To the right of the fireplace is the remains of a spiral staircase, now blocked up, and a small pantry now fills the left-hand inglenook. 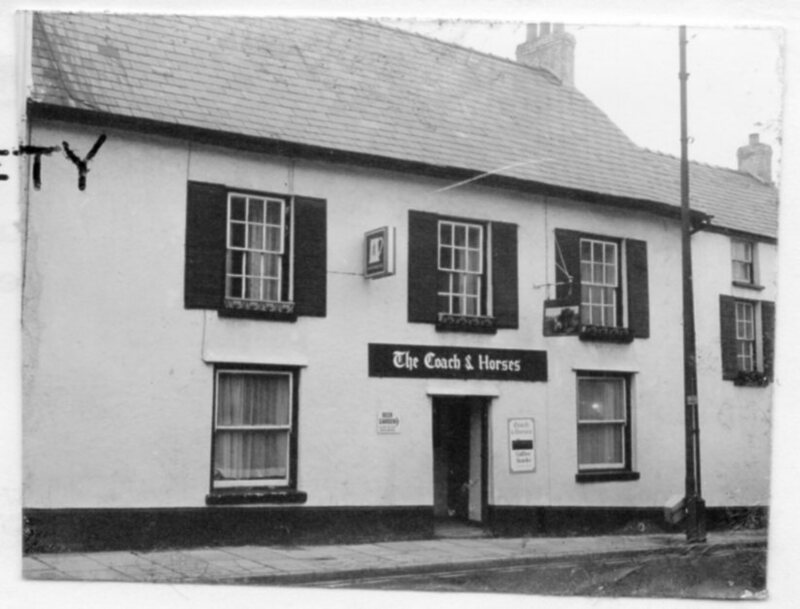 Called the Sun Inn until 1974. 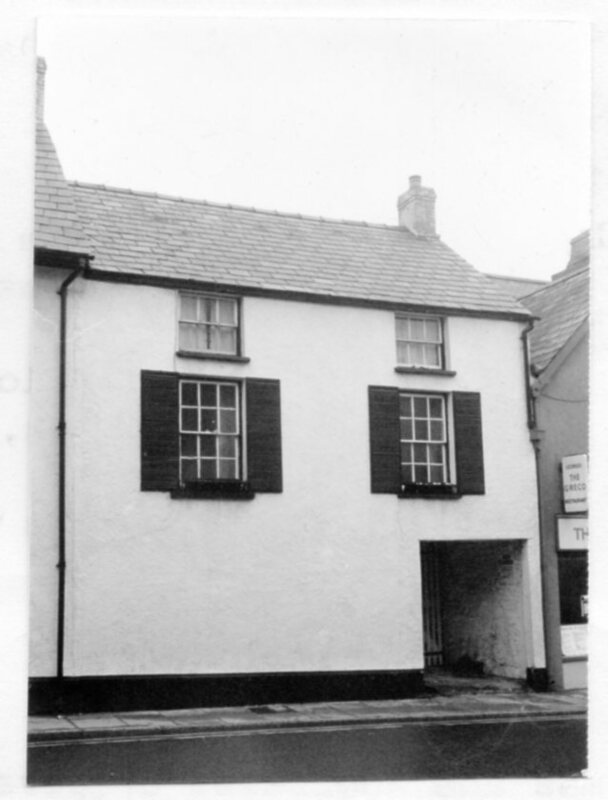 At time of original Abergavenny Local History Society Survey, pub was owned by Whitbread Brewery and occupied by M J Coulthard. 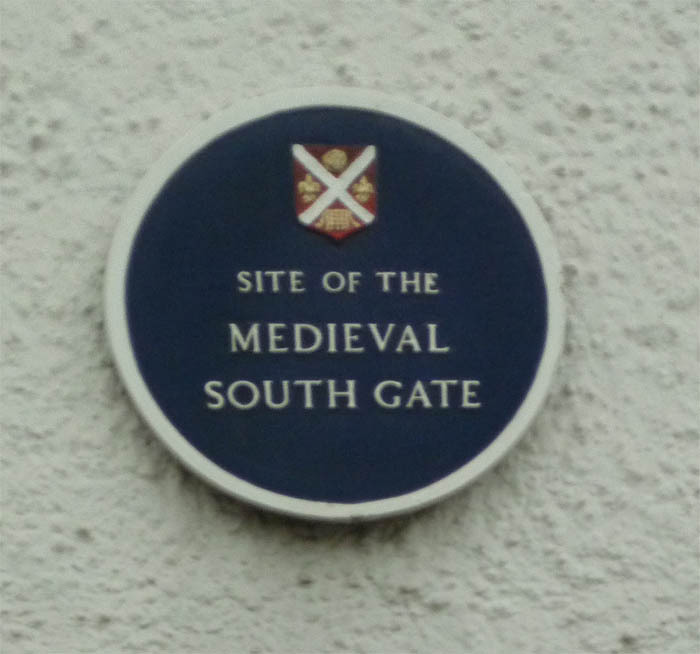 In 1817, the garden behind the building belonged to Samuel Thomas, then David Thomas. In 1842, the garden belonged to John Williams. (original survey also states that “the garden behind belonged to William Lewis” but the date of this ownership is not given. 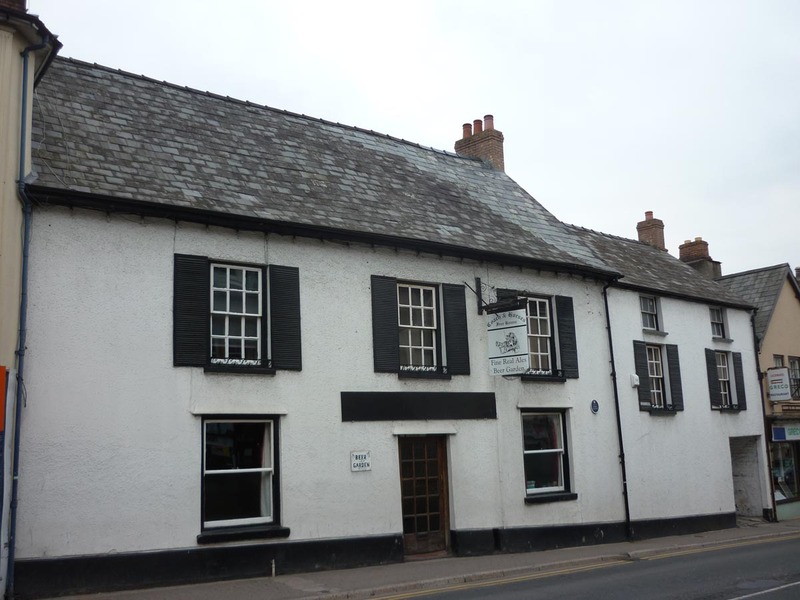 “Situated on the main commercial street which runs from south-east to north-west across Abergavenny. Interior : The ground floor, once two rooms with central hall, is now a single bar space with stair rising at rear right. There are five large and long cross beams, but they are only roughly chamfered and have no stops. The north wall carries a huge late C16 fireplace with an enormous lintel stone and hollow chamfered jambs (see History) . Upper floors not seen. Exterior : The whole building is uniformly roughcast and has a natural slate roof. Two linked sections, the right hand one probably later; both are double depth plan, but their fronts are not in the same plane. To the left the main part is two storeys, three windows. Lower windows are unevenly levelled and sized early C20 plate glass sashes and with a modern central door without architrave. Upper floor windows with 6 over 6 pane sashes and external shutters. Steeply pitched plain roof with red brick gable stacks. To the right, a wing of three storey height, but with the ground floor blind except for carriage arch on right. First floor has two windows with 6 over 6 pane sashes and external shutters. The second floor has two small 3 over 3 pane sash windows. The ridge line is lower than the adjoining part and thus has a lower pitch as the eaves line is the same, small stack on right gable. The rear elevation shows a red sandstone rubble back wall and a small central 2-light dormer. Reason for Listing : Included for its special interest as a probably C18 public house retaining its character which has strong group value with the other historic buildings in Cross Street.